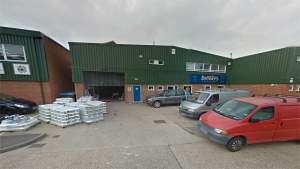 As well as a big range of trade paints, we carry a good selection of products from some of the most respected designer paint brands, plus wallcoverings and decorating equipment and sundries. You can order click and collect from WallpaperDirect, DesignerPaint and even Brewers Home. We’ll also deliver our usual products direct to your door on the same day if you can’t make it into the showroom. 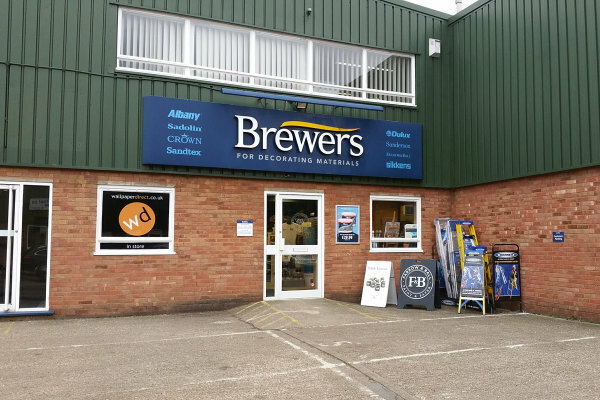 Brewers Decorator Centre in St Albans is a few minutes’ drive from the big Morrisons supermarket and, in the other direction, St Albans City railway station; we’re on the Sphere Industrial Estate off Campfield Road. The store is wheelchair-user friendly and we have dedicated parking outside the showroom. Follow Camp Road Southtbound until reaching a left turning down Campfield Road, follow this road until reaching a right turn into Sphere Industrial Estate which leads down to the store being located on the right. Follow Campfield Road for a short while after leaving the roundabout from Hedley Road or Sutton Road. take the second exit at the next roundabout and then take the next left into Sphere Industrial Estate which leads down to the store being located on the right. Follow Camp Road Northbound until reaching a right turning onto Campfield Road, follow this road until reaching a right turn into Sphere Industrial Estate which leads down to the store being located on the right.